I am a designer with a passion for cooking, most of the people who know me is aware of that. Writing and publishing a regional Italian cookbook has been the best thing I have done in 2009. 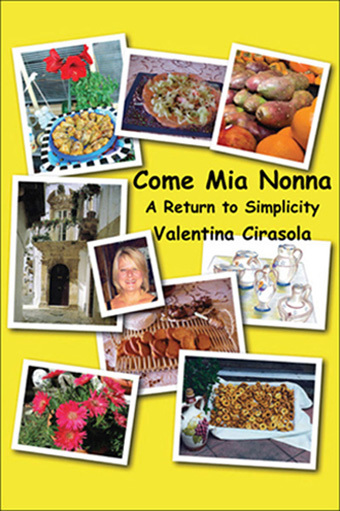 I named my book with an Italian title and an English subtitle: ©Come Mia Nonna-A Return To Simplicity. The translation of the Italian title means As My Grandmother, the book, in fact, is dedicated to her, my nonna Pasqua, the person who taught me to love simplicity. This book represents the quintessential of simplicity while being creative with food. So much so that it has attracted some restaurants in the area where I leave who want to feature some recipes from my book. “It would be really different to organize a book presentation if I host events at the local Italian restaurants in my area”, I thought. The idea is inviting, no author has ever done a book presentation in a restaurant, the idea is a novelty, I like it, let’s do it. After all, I learned to live a life without limits, right?! On February 24, 2010, Cedro Ristorante Italiano in Menlo Park, CA has graciously offered to host my book presentation event. The dinner will feature food from my book, I will be the commentator, the historian, the story-teller. The region I wrote about is Puglia, where I was born, on the Adriatic sea. It is a mixture of antiquity and modernity, Baroque architecture, ancient table customs, tasty and healthy food to die for and the region’s warm people. The guests at Cedro Ristorante Italiano will have a unique opportunity to taste the delightful food of my land and will appreciate its elegant simplicity. Live music will fill the ambiance. Thank you in advance to all of you at Cedro. The food of Puglia is in tune with all the needs people have today to stay healthy, eat good food to control the weight, cook fast because we are all busy and save money at the same time, as the ingredients are inexpensive and can be found in any grocery stores, not only in gourmet specialty stores. 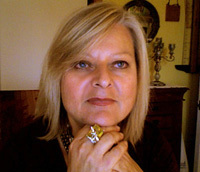 I cannot be more happy about the interest that ©Come Mia Nonna-A Return To Simplicity has created. My book had a purpose and a message, I could not pass the opportunity to publish it when I did, it was the right time. The book was published on Thanksgiving day 2009, that was a super good sign and made the best Thanksgiving I ever had! Thank you my grand Universe. Valentina is also the author of the forthcoming book on the subject of colors: ©RED-A Voyage Into Colors.